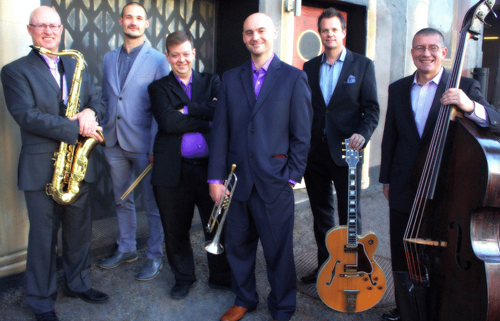 Hailed by Wynton Marsalis as an interpreter of “clarity, elegance and uncommon grace,” trumpeter/composer Sean Hennessy leads this versatile Colorado-based sextet in their first Vail Jazz outing. The group includes Cully Joyce (sax), Colin McAllister (guitar), Brad Bietry (keyboard), Jason Crowe (bass), and Devin Malloy (drums). With a unique sound that features original music by all the group’s members in intricate arrangements, their versatility and virtuosity are showcased in soulful ballads, driving swing, Latin, hard bop and more. The band’s various members have appeared alongside Dave Liebman, Maria Schneider, Ernie Watts, Jon Faddis, Wycliffe Gordon, Vince Gill and Amy Grant.